Please bear in mind some of the following may be bugs. You can now block attacks while your shield is in the sheathed position. Previously, Warriors, Shamans and Paladins were vulnerable while using instant-cast abilities that caused their shield to momentarily appear on their back. Base cost of untalented shapeshifting reduced to 35% from 44% and Travel/Aquatic/Flight reduced to 13% from 16% base mana (that includes swift flight form as well). Moonkin Form and Tree Form now have their own shapeshift bar (like Cat & Bear). 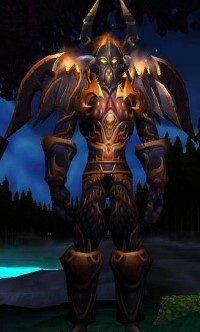 Tauren druids are now golden-brown in flight form rather than black. Concussive Shot has a very distinct look - now it looks like a shadowy arrow when shot instead of looking like arcane shot. All but three blessings (Blessing of Sanctuary, Salvation, and Protection) got a new animation. A few seals also got new animations. Blessing of Freedom graphic changed from "foot bubble" to golden streamers from the back of players with the blessing. Entering Shadowform gives a new action bar (like stealth). Inner Focus now has a new graphic blue aura that surrounds the Priest for a short time. Mass Dispel now has a new graphic when cast. The same holy symbol (as seen also on Prayer of Mending) is still present, but the graphic has been changed to a darkish-blue pulse that emanates from the center of the cast. Pain Suppression also has a new blue aura surrounding the priest, instead of the white ring with shields. The level of a poison applied with shiv is now correctly based on player level, as opposed to weapon level. Shadow Bolt and Fel Armor have recieved new animations. Death Coil has a new animation based off of Warcraft 2. Last Stand turns warriors that use it red now instead of greenish blue. Spyglass of the Hidden Fleet's Heal over Time effect has been increased to 1300 over 12 sec. The trinket now also gives 40 stamina. 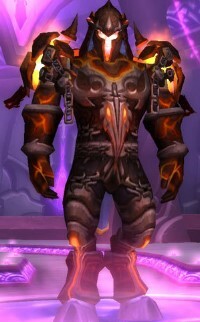 Trial-FireTrousers have been renamed Trial-Fire Trousers. Boots of Foretelling now have 16 spell crit rating. Silent Slippers of Meditation no longer have Spell crit rating. Ribbon of Sacrifice now gives 30 heal per application, as well as has an equip bonus of 11 mana/5. Pendant of the Violet Eye now gives 21 mana/5 per application, and also has an equip bonus of 34 intellect. 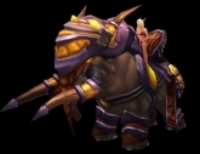 Guile of Khoraazi now has 18 agility and 38 attack power. All Spellthreads now require an item's minimal level of 35 to be applied. Runic Spellthread is now 35 spell damage and 20 stamina. Golden Spellthread is now 66 healing and 20 stamina. Totem of the Pulsing Earth now reduces the mana cost of Lightning Bolt by 24. Shawl of Shifting Probabilities has been changed to 12 Stamina; 8 Intellect; 16 Spell Critical Strike Rating; 34 Damage and Healing. Destructive Skyfire Diamond now requires 4 yellow, 4 red, 4 blue gems instead of 5 red gems. Renew now correctly triggers the proc from Scarab of the Infinite Cycle. The proc for the Coronet of the Verdant Flame has been changed from "2% chance on spell cast to restore 45 mana every 5 seconds for 15 seconds" to "Chance on spellcast to regen 90 mana over 10 seconds." Terrok's Quill has been recolored from black and pinkish-gray to black and red. 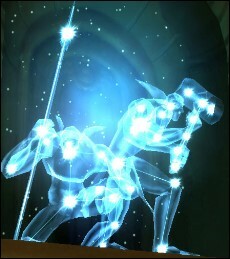 The 60% flying mount's animation is slower paced, however the speed remains unchanged. Hawkstriders are now making the correct sound upon summoning. Epic riding talbuks now have a different mount sound. Herbalists have a chance to find Black Lotus when "herbskinning" mobs. A gear-matching system has been implemented to battlegrounds. When queueing up to a battleground, you are much less likely to meet opponents with largely inferior or superior gear than yours. Stealthed elite Roof Stalkers have been added to the roofs of Orgrimmar. There is now PvP water on the general rewards vendor. 4200 and 7500 mana, with costs of 12 silver / 1 honor and 25 silver / 1 honor per 5. PvP gems have been changed from Unique to Unique-Equipped. Two new Gladiator weapons added: Gladiator's Gavel (Spell Damage 1-Handed Mace, identical to the Gladiator's Spell Blade) and Gladiator's Salvation (348 Healing 16 Resilence 1-Handed mace). Added the two priest DPS arena pieces that were missing previously. Sublime Mystic Dawnstone's cost reduced from 500 Halaa Battle Tokens to 100. A sound effect plays when you capture an outdoor PvP objective. The ## Interface: number in AddOn .toc files is now ## Interface: 20100. A new "Show Launcher" checkbox was added on the login screen, located under "Remember Account Name". Warlock's demons now show up in the character select screen like Hunter pets do. Tooltips for players now show the player's guild name. Items taken out of the mailbox will now stack with identical items in your bags. The /who function will now display up to 50 matches and the total possible matches (for example, /who 70 shows "90 matches (50 displayed)"). Pitchlimit can no longer be changed. Taking two screenshots very fast will no longer leave a "Screenshot Captured" mark on the second one. Gift of the Wild now has its own icon. Serpent Flesh now has its own icon. Khorium Bar now has its own icon. GetDoublewideFrame() and SetDoublewideFrame() have been removed. 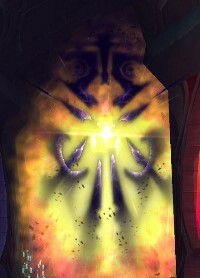 The Portal at Stormwind's Mage Tower no longer freezes the computer. Boats now have a bell that they ring when they arrive at the dock. Changed the layout of the sleeping gryphons at the Menethil Harbor flightpoint. Barrier Hills is now populated. Griftah (the famous scammer NPC in Shattrath) now has a Peacekeeper next to him, attempting to make sure that he is running a legitimate business. 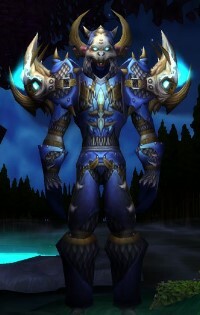 Shadowmoon Slayers on the Ata'mal Terrace in Shadowmoon Valley no longer tend to evade and reset at 20-50% health. Icons above mobs (like quest completes) now size proportionally with the name of the mob. New types of quest: daily quests. Repeatable but can only be done once per day. Max of 10 daily quests per day. Hellfire Fortifications is now a daily quest. The consortium gem bag works. It does not get mailed to you automatically you must fly to nagrand and talk with Gezhe to do the quest membership benefits to receive your bag of gems. 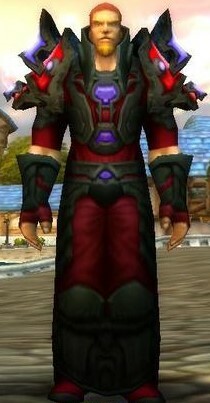 The Sha'tar Quartermaster is now affiliated with the Sha'tar (you can now benefit from the Honored discount). Wands with Shadow Damage have a new shooting animation. A few weapon enchants (Savagery, 35 Agility, Mongoose, etc) have had a glow added. Female blood elves have a new /bow animation. Stealth animations have been fixed. When a chest is opened all the items appear in the need/greed fashion like trash drops. 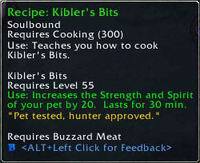 Doodads related to the second World of Warcraft expansion have been added. Tallstriders now have a swim animation. Earthen Elixir: Reduces spell and physical damage taken by 20. Elixir of Ironskin: Increases resilience by 30. Elixir of Major Fortitude: Increases health by 250 and provides 10 health every 5 seconds.